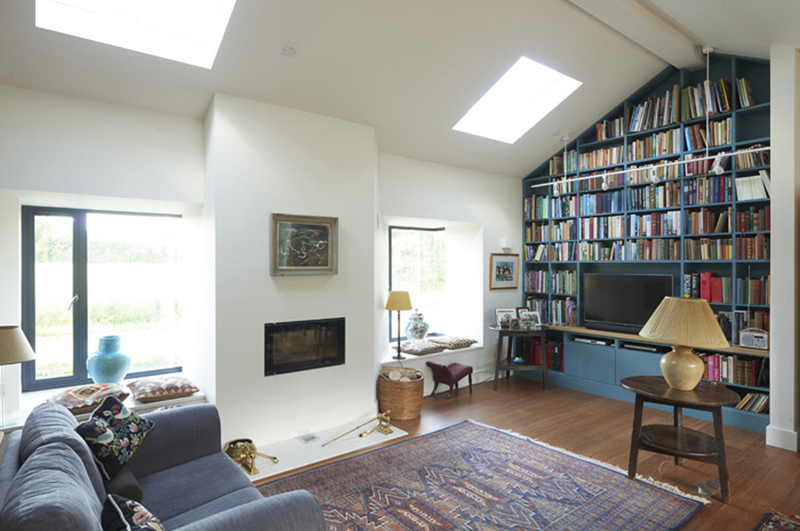 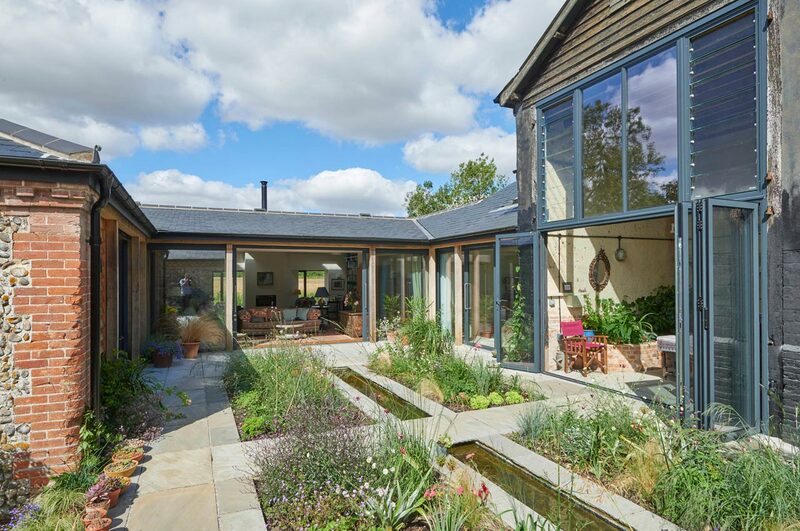 Conversion of a range of Listed open-fronted barns to form a new single-storey dwelling. 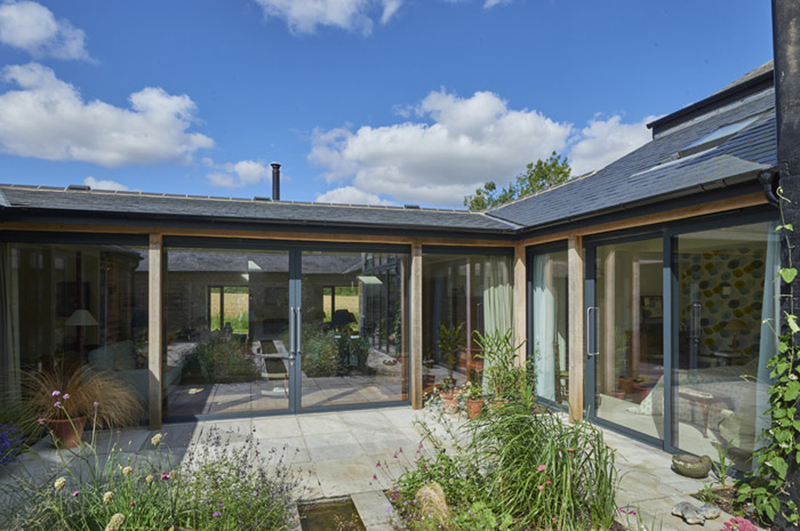 The Barn is arranged around two small, private garden courts. 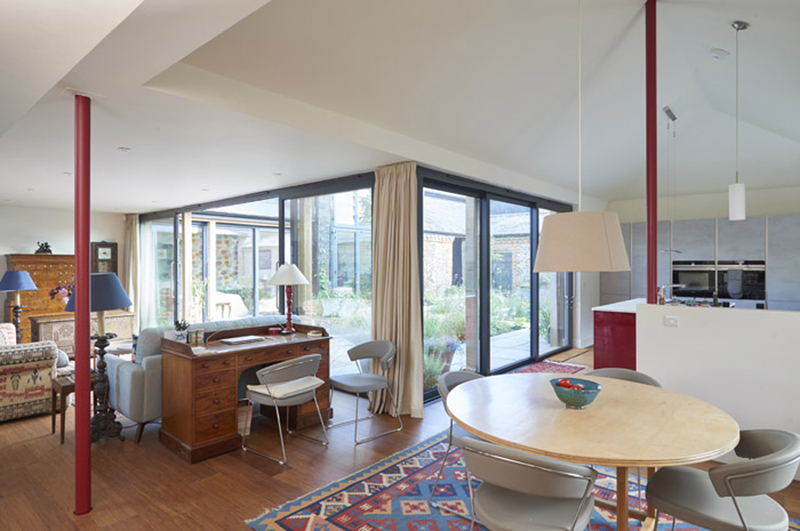 The building plan depth was moderately increased at the sitting room, to achieve a more usable open-plan space and the roof structure was fully revised and reduced to just two visible steel posts. 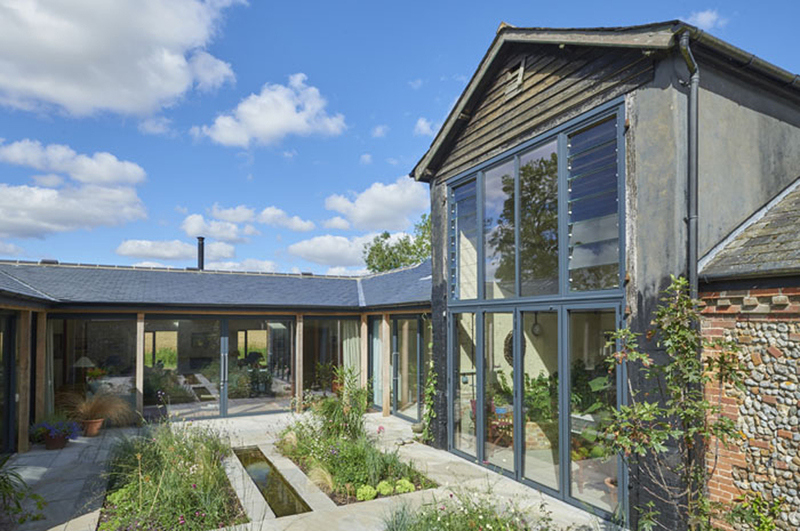 The scheme includes a double-height Plant house with a partly louvred glass wall. 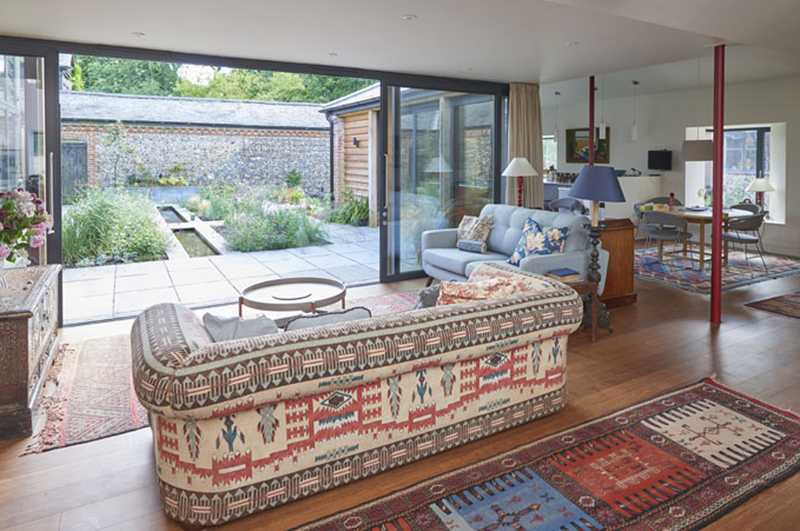 Space heating is provided a heated floor supplied by a ground-source heat pump. 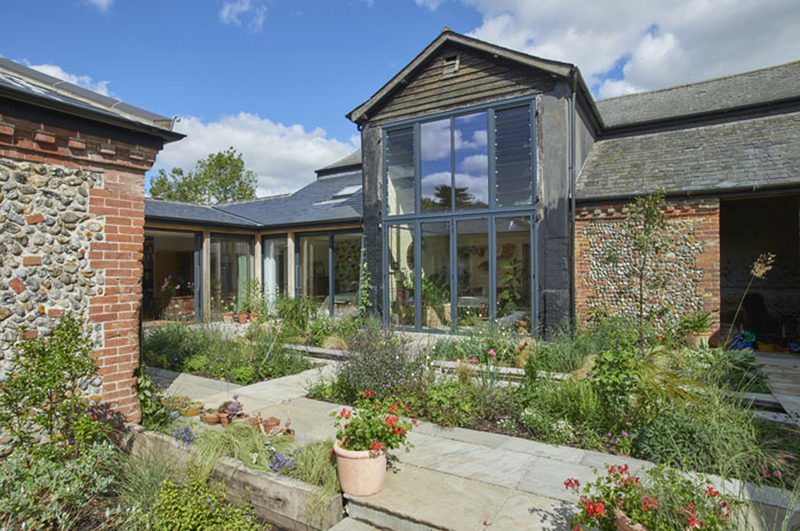 The Garden Room won an award in the South Norfolk Design Awards 2017.